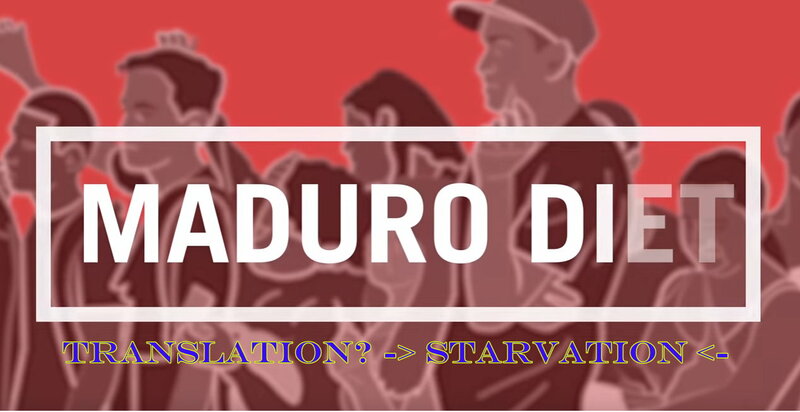 Old Guard Audio August 29, 2017 August 29, 2017 No Comments on How’s Socialism Doing in Venezuela? It was far from perfect, but the mood was hopeful ? and with good reason. Services like power and water are sporadic. The most basic consumer goods, from bread to toilet paper, are in chronically short supply. Crime has skyrocketed. Freedom of the press is almost non-existent. Democracy has been replaced by a virtual dictatorship. 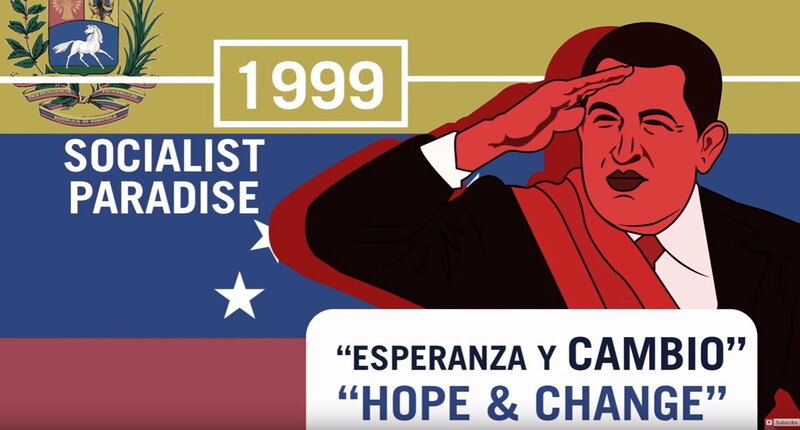 In 1999, then-candidate for president Hugo Chavez promised to lead the people of Venezuela to a socialist paradise. His theme was “Esperanza y Cambio” ? “Hope and Change.” “Venezuela is a nation of great wealth,” Chavez said, “but it’s being stolen from its citizens by the evil capitalists and the evil corporations.” This wrong would be righted, he assured the voters, if they elected him. Chavez drew inspiration from his mentor, Fidel Castro. Like his mentor, he enjoyed giving speeches ? some that lasted as many as seven hours! He even gave himself his own weekly television show where he would spontaneously break into song. Under Chavez, the government of Venezuela took over industry after industry. The government, he assured everyone, would run these businesses better than private enterprise, and the profits would be “shared” by the people. With great fanfare, he tore up contracts with multinational oil and gas companies and demanded that they pay much higher royalties. When they refused, he told them to leave. They did. His image was burnished by Hollywood celebrities who flocked to see the great work he was doing ? taking money from the rich and giving it to the poor. Progressive politicians from the US and Europe also praised him lavishly. Here’s another rule: When Hollywood celebrities visit your country to praise your leader, you’re in trouble. When the leader sings on national television and is praised by Hollywood celebrities, you’re doomed. Socialism always works in the beginning, so people are fooled…in the beginning. It’s easy for governments to confiscate money, but eventually, there’s no more money to confiscate. In the case of Venezuela, I mean that literally: People who could get money out of the country, did. Many left the country altogether ? nearly 2 million, according to Venezuelan sociologist Tomás Páez. The wealth creators continued to create wealth, but they created it somewhere else ? Miami or Madrid and other places around the world. When Chavez first ran for President in 1999, he said he would leave in two years if people weren’t happy with him. But, like Castro, Chavez never had any intention of giving up power. He died in office in 2013, replaced by his vice president, Nicolas Maduro. Maduro is Chavez without the charisma or the voice. Once a country goes down a socialist path, there’s no easy way back. And the longer a country stays socialist, the harder it is to reform it. 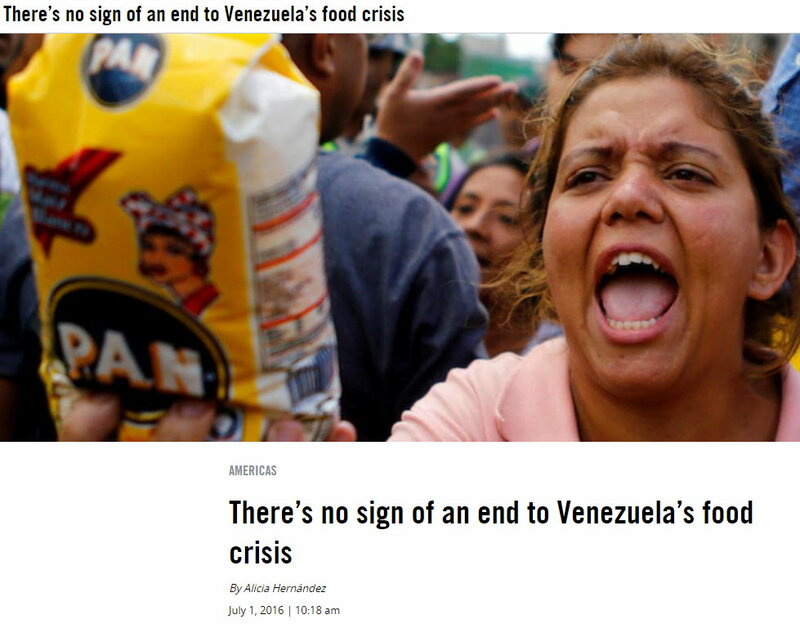 Venezuela has been socialist for two decades. If you don’t think it can happen here, whether “here” is the United States or Europe or anywhere else, you’re fooling yourself. When people get used to depending on the government ? no matter how poor they remain ? that dependency is hard to break. That’s why you should never buy the socialist lie. Socialism is a drug. And like a drug, it feels great ? at first. But eventually, it will ruin your country. I’m Debbie D’Souza for Prager University.